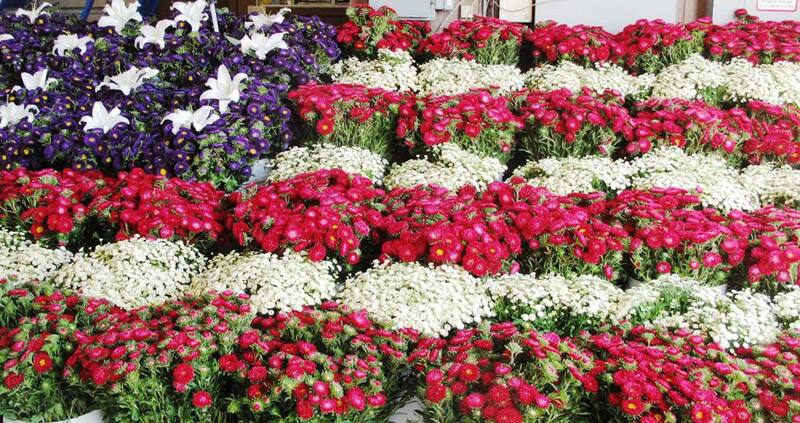 Red, white and blue American-grown flowers, featured in a patriotic display at Sun Valley’s Oxnard, CA, farm. Here is a summary of the remarks I gave last month at during a gathering at Ocean View Flowers in Lompoc, Calif. I shared three observations about the Local Flower Movement and its importance today (and in the future). 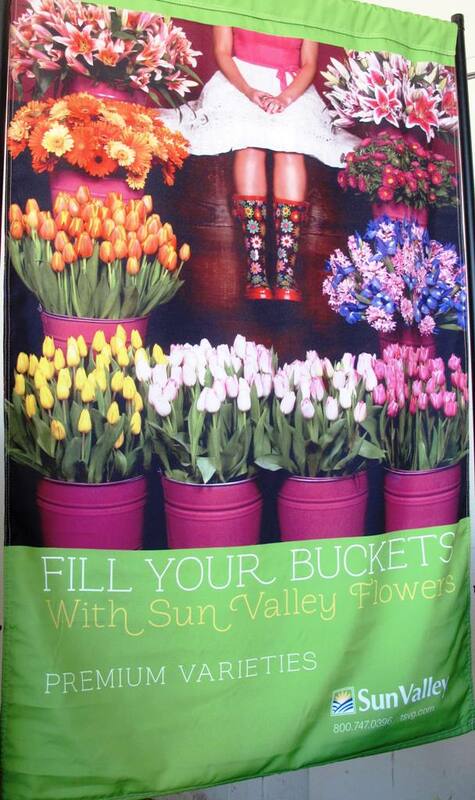 A visually appealing banner on display during our tour of Sun Valley’s Oxnard farm. We are at a unique point in time when consumers are yearning for authenticity and the high-touch human narrative. From the explosion of interest in heirloom vegetables and fruit, with the Rock Star chef and farm-to-table menu to an anti-mass-produced desire for artisanal and hand-crafted products to ever-popular farmer’s markets, consumers are drawn to the raw materials of life. Even major companies are moving the human face and compelling stories of people, not products, to the forefront. I saw many examples of this during the Fun ‘N Sun conference in Santa Barbara, presented by the California Association of Flower Growers & Shippers. In his presentation at Sun Valley’s Oxnard facility, CEO Lane DeVries discussed the company’s investment in breeding better floral varieties. He showed us images of the Ilex that’s currently available on the market and then revealed several new varieties that Sun Valley is hoping to introduce in the future. Those options are clearly superior, with berries arranged all the way to the tip rather than clustered lower on each branch. The collective buzz in the room increased in volume as the questions flew Lane’s way: How long before the new variety will be in production? I can guarantee that those in the audience will be bugging Sun Valley for the next few years for those “new” Ilex cultivars. No one will forget his presentation. 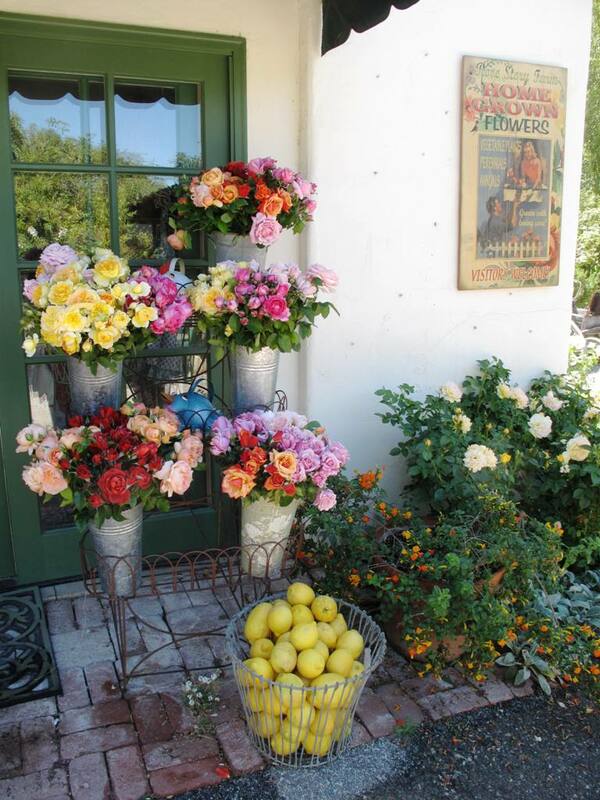 Luscious and romantic, Rose Story Farm’s American-grown garden roses. Similarly, when we visited Danielle Hahn at Rose Story Farm in Carpiteria, where a delicious garden-style luncheon was served at umbrella-covered tables laden with country pitchers of roses, the commodity flower crowd gained newfound appreciation for the garden rose. Dani told many stories of the 150 old garden rose varieties that grow here, explaining how she selects for fragrance, petal color and flower form. The history and provenance of each rose variety is at her fingertips. She is a compelling storyteller and the narrative only served to personalize each beautiful bloom and its value. No matter that garden roses have a “four hour vase life,” Dani joked (they really last for several days, if properly harvested and cared for). Their romance and beauty trump vase life. And when a bride sees (and inhales) Dani’s roses, she has a sensory response that is not based on budget, but story. 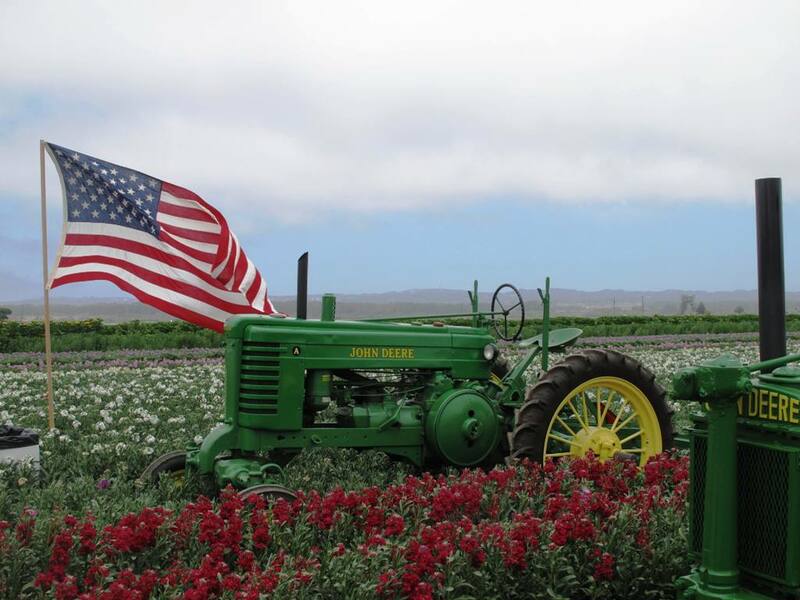 Old-timey John Deere tractors – how nostalgic is that? On display in the beautiful fields of flowering stock at Ocean View Flowers. 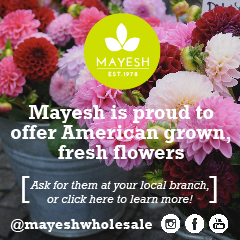 Stories underscore the value-added nature of American Grown flowers. The local farmer should be selling quality, freshness and uncommon variety. Why? Because those attributes get our flowers out of the price race. 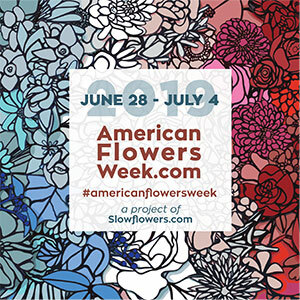 And American Grown flowers will not win the price battle with imported flowers. Price alone turns flowers into a commodity. And commodities are generic, which means that cheap, cheaper and cheapest sells to unimaginative florists who need YOU to help them retreat from the low-cost battle. Of course, communicating about American Grown quality product requires a lot of what I just covered above, in Point #1 – storytelling. They go hand-in-hand. Be transparent and forthcoming. It gives you an edge that makes you and your flowers memorable. 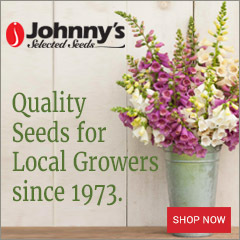 None of us will forget the story that John Donati shared about Ocean View’s approach to specializing in only field-grown cut flowers. Enjoying our country-style lunch in the middle of that flower field, surrounded by vivid rows of clove-scented stock, we won’t forget the message of quality that was conveyed by everything around us. A gathering of friends at the July 18th Flower Fields luncheon, hosted by John Donati and the staff of Ocean View Flowers. I’m at left, joined by fellow writers/bloggers Billy Goodnick and Nell Foster. 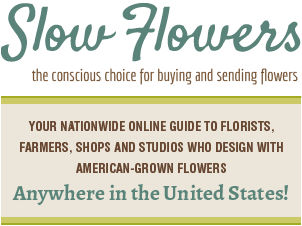 The designers who use your floral product are ultimately your best marketers. In some industries, this approach is called “crowd-sourcing,” which sounds a little crass. But with the right approach, you can engage the people who create beautiful arrangements, bouquets and events to tell your story better than you can. Invite designers to share their photos with you. Create special incentives for those who post photos of wedding or event flowers on your Facebook page (such as drawings for gift certificates). This approach is a win-win for everyone! 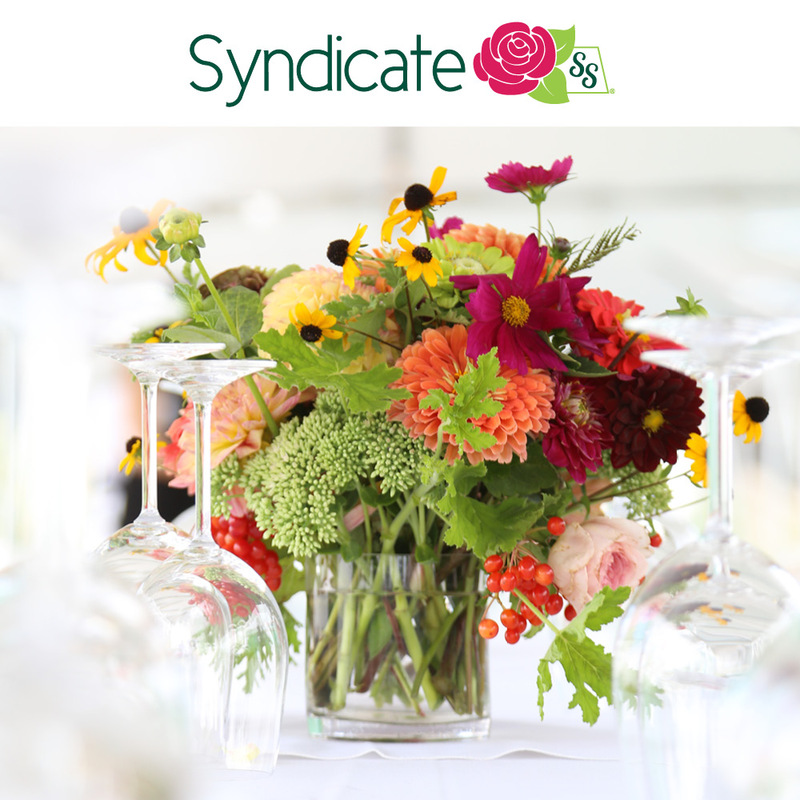 Designers will benefit by showing off their artistry and your farm benefits by the implied endorsement that YOUR FLOWERS were selected for a special event. Future customers will be inspired, as well. Blogs and magazines need content, so create your own photography and offer it as a free resource to bridal, home décor and gardening outlets. A library of beautiful flower images or photos of arrangements, labeled with your company name, web site or watermark, will potentially capture the interest of new customers and their floral designers. The same goes for text, with free “how to grow,” “when to harvest,” “how to design” and “vase life” tips featured on your blog or articles pages. Invite designers to offer their insights via an advisory committee. They’ll gladly share opinions and help you forecast floral trends. This mutually-supportive relationship will evolve. I know first-hand how beneficial simple conversations can be. Diane Szukovathy and Dennis Westphall of Jello Mold Farm in Mt. Vernon, Washington, decided to grow more and more Cafe au Lait dahlias after enthusiastic feedback from their floral customers; similarly, Vivian Larson of Everyday Flowers in Stanwood, Washington, had the confidence to plant more black-centered white anemones, thanks to her conversations with customers. 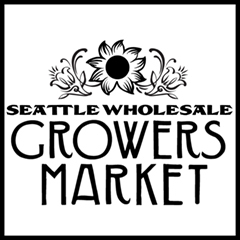 This entry was posted on Sunday, August 25th, 2013 at 9:14 am	and is filed under American Grown, Creativity, floral design, General, Writing. You can follow any responses to this entry through the RSS 2.0 feed. You can leave a response, or trackback from your own site. 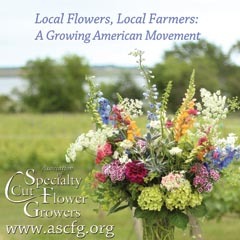 I loved your comments about the American Local Flower Movement. Excellent tips too. 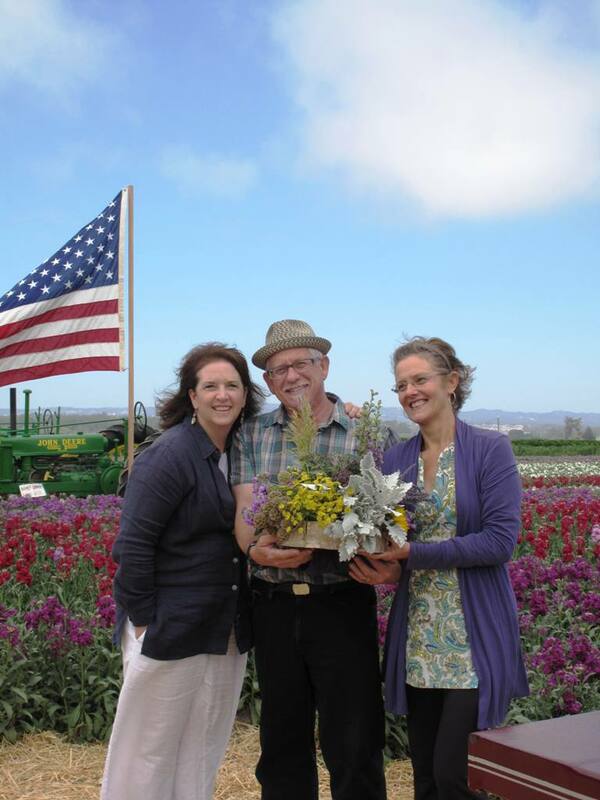 Thanks for all you do to support flower farmers!